SOLANA BEACH — “Grace, I think,” Trevor Hall said when asked how the Hilton Head, South Carolina native discovered India. 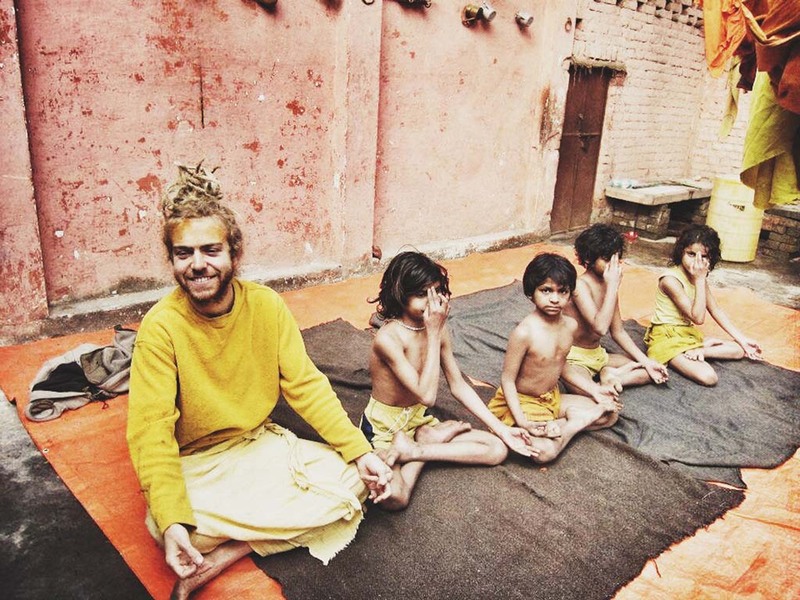 The country’s spiritual culture has come to have a significant influence on Hall, the 28-year-old musician, down to his Brahmin-esque appearance. At 15, Hall left his small island of Hilton Head for Idyllwild Arts Academy in California to study classical guitar. It was while in California, he explained, that he became interested in the spiritual practices of the Indian culture, eventually taking a trip to India for the first time in 2007 with some monks. As his music career began to take shape at the age of 16 (his popularity began to surge when one of his songs was used in the “Shrek The Third” film) he would continue to return to India — a place where he could get his creative “juices” refilled, he said. Several years later, suffering from what he called a “down spot” in his life in 2013, Hall opted to take a year away from music to recover from burnout due to a hectic touring schedule and ultimately, a loss of inspiration. Hall would spend an extended amount of time in India, Nepal and then travel into the mountains of Maine and Vermont. His only plans during that trip were to just go over and just be, he said. But as a musician, and songwriting being his natural inclination, Hall did start thinking about music again and writing songs, though not with the notion of recording a new album. “Slowly, slowly I had these tunes. And then I got back to the states and I was like, ‘Man I have a whole bunch of tunes here,’ and it just happened naturally,” he said. That sabbatical would lead to his latest full album, “Chapter of the Forest,” released in June of last year. His new EP, “Unpack Your Memories,” which was released in March, he considers an extension of “Chapter of the Forest,” and as way to say I love you to his fans, that have been with him throughout his career. The music isn’t super flashy, he said. Those songs on the EP were recorded as bare as possible, with his friend and producer Warren Huart essentially mixing the demos that Hall had recorded on his laptop in a bedroom of his house. “Those demos, in that way, to me, they’re very, very intimate because they haven’t been really touched by anything yet and that’s when the song is first coming out — it’s like super fresh,” he said. “With ‘Chapter of the Forest,’ I really felt like I was finding myself again — sonically — growing into my sound. And I think ‘Unpack Your Memories’ was just an extension of that,” Hall said. So, how does he describe his sound?